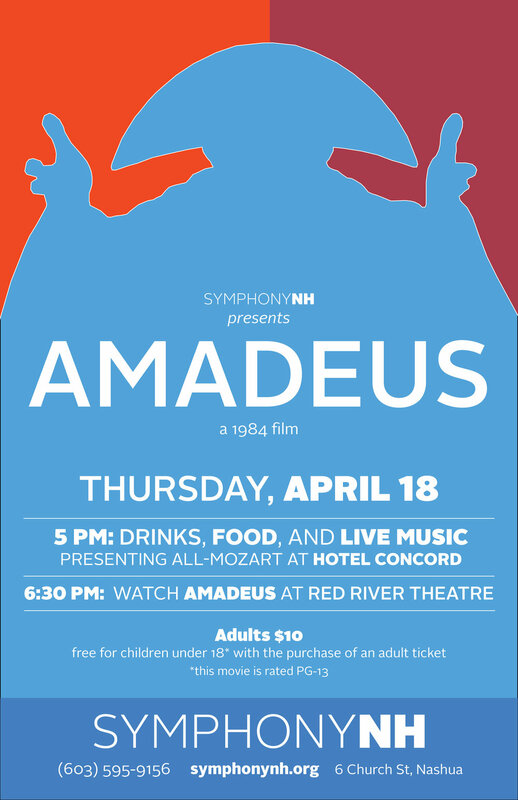 Symphony NH and Red River Theatres bring the award-winning film Amadeus to Concord! Join us at Hotel Concord for food, drinks, and a live string quartet performing an all-Mozart program, then enjoy the blockbuster film at 6:30 at Red River Theatres. Adult tickets are only $10, and youth under 18 are free with the purchase of an adult ticket!